Su Yi was confused. Were there no Yuan Stones inside the interspatial bag, was this the reason why the mysterious space was unable to open it? Su Yi inspected the bag once again, but the third interspatial bag refused to be opened. Probably because there were no Yuan Stones within it. There were secret techniques that could break open the seal on the bag, but Su Yi did not have any intention to try them out. With that lady’s cultivation level, Su Yi knew that if he wanted to break a seal made by her, it would be nothing short of a daydream. Su Yi went on to check the herbs and found out that most of the herbs had already been harvested for a long time and the roots had already withered, unable to be replanted into the soil. But there were still a small minority of herbs that had a chance to be cultivated again. Many of the herbs were high in level and very valuable. Just in case they would die, Su Yi answered an urgent call and deposited some fertilizer, then he smiled feeling satisfied. There were also several weapons, like sabers, spears, swords, polearms, etc, but after a thorough inspection, Su Yi found out that though they would fetch a decent price, there was not much useful stuff amongst them. He may not have come in contact with many weapons before, but Su Yi was clear that to cultivators, weapons and elixirs were the same, they had many different grades and levels. Weapons also had seven different grades, Heavenly Grade, Earth Grade, Xuan Grade, Yellow Grade, Star Grade, Mirage Grade, and Moon Grade. Every grade was also separated into Beginning Level, Middle Level, and High Level. These weapons could be considered the High Levels of the Mortal Grade, but they have not even reached the Moon Grade. Among the pile of weapons, Su Yi took up an average-looking sword around a meter long. Though it was not completely rusty, it was close to being entirely rusty. Most importantly, what caught Su Yi’s eyes was that it had been chipped and quite a few holes were on the blade. When Su Yi tried picking up the sword, he was shocked. He could hardly pick up the rusty-looking battered sword. Su Yi was stunned. Luckily, he had cultivated the “Chaotic Yuan Demonic Body”, causing his physical strength to be enormous. If not, he probably wouldn’t be able to pick it up without using Yuan Qi. Su Yi guessed that this battered sword would be more than 500 kilograms. He had no idea what this sword was made of. His eyes slightly squinting, Su Yi pondered. That lady’s cultivation level was high, her eyes for good items should also not be too bad. If this really was only a battered sword, that lady would most likely not put this inside her interspatial bag. Furthermore, this broken sword weighed more than 500 kilograms, that fact alone can already prove that it was not average. Su Yi was slightly disappointed that there were no elixirs in the two interspatial bags. Initially, Su Yi was hoping with that lady’s cultivation level, the elixirs on her would be of high quality. He was also looking for High-Grade elixirs for his grandfather, if there were some in the interspatial bag, it would have been wonderful. Unfortunately, the interspatial bags had various cultivation resources and even several valuable herbs, but just no elixirs. Su Yi was thinking that once he made it to the Chaos Realm, he could use the herbs and martial art techniques that he had to exchange a High-Grade Elixir which his grandfather needed. He must obtain the high-grade elixir for his grandfather at all costs. Commander Grade martial art techniques, “Kongming Palm” and “Blazing Finger”. Su Yi went through the martial art techniques that he had gotten from inside the interspatial bag. They were all palm techniques, fist techniques, etc. Su Yi thought about his Overlord’s fist, Wrath of the Eight Wastelands, Crimson Flame Palm, etc. He had not cultivated each of them to the limit and their grades were also not low. Do not bite off more than you can chew. This concept was easy to understand that one could not be able to miss its meaning. Later on, he could just sell these off. It would earn him a huge fortune! Commander Grade Martial Art Technique, “Three Sabres of the Raging Dragon” and King Grade Martial Art Technique, “The Thirteen Swords of the Roaring Gale”. Su Yi’s eyes gleamed with glee. He stared closely at the two open scrolls in his hands. A fire attribute Commander Grade Martial Art technique, “Three Sabres of the Raging Dragon” and a wind attribute King Grade Martial Art technique, “The Thirteen Swords of the Roaring Gale”. Recently when he fought with others and faced those with weapons, Su Yi felt that he was at a great disadvantage. With his current cultivation level, he was still not at the point where he was invincible. When fighting against those with weapons, he would no doubt be at a great disadvantage. Hence Su Yi hoped in his heart that he would be able to obtain a martial art technique in the field of weapons. 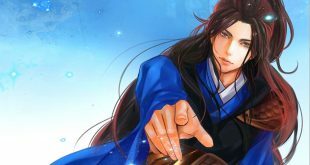 Now that he has gotten these two martial art techniques, one of Commander Grade and the other of King Grade, Su Yi was ecstatic. The pile of weapons had a few sabers and swords in it. Now that these sword and saber techniques appeared, Su Yi was elated. It was just perfect for him. Anyways he had to hide from those adventurers for the time being, so Su Yi was in no rush to leave. Waiting a bit more would be safer for him as well, and it was just right as he could cultivate the saber technique. Once he leaves, if he meets some of those smaller adventurer parties, he would have a greater ability to fend for himself. Actions speak louder than words. Su Yi sat down, placed the opened scrolls on his lap and started forming the hand seals. Strands of Yuan Qi gathered at Su Yi’s fingertip and converged into a hand seal. Then, he bit his index finger and a single drop of blood landed on the scroll, accompanied by the hand seal formed by Yuan Qi. Suddenly, a glaring light radiated from the scroll and talisman-like words started to dance in the air like they had come alive and followed by a flaming hot presence. Finally, the light exploded and turned into a picture in the shape of a saber and together with a ferocious aura and a terrifying presence, it shot in between Su Yi’s eyebrows. Under the glaring light and the terrifying presence, Su Yi’s eyes started to close as well. The activation of a Commander Grade Martial Art Technique gave off an enormous aura, shocking the space around it. Luckily, Su Yi was currently within the mysterious space. If he was outside, the commotion it would make would be enormous. People say that the activation of a Commander Grade Martial Art Technique would cause a commotion equivalent to a strong cultivator using the technique with all his might. Legends had it that when the Heavenly Grade Martial Art Techniques appeared, it would cause a disturbance in the heavens and earth. Mountains would collapse, and the earth would crack. Back when he was within the deep hidden valley and Su Yi got the “Hundred Transformations Step”, that was an Emperor Grade Body Technique. But the technique was directly passed on to Su Yi by the mysterious man and there was no commotion at all. Maybe the mysterious old man had hidden it? When Su Yi cultivated the other two Commander Grade techniques, he was inexperienced and ended up causing a large commotion. But at that time, he was in a desolate region and after activating them, he left immediately. So, this time, Su Yi decided to activate the martial art techniques within the mysterious space. With the special function of the mysterious space, it should be able to conceal this huge commotion and prevent it from attracting the unwanted attention from others.